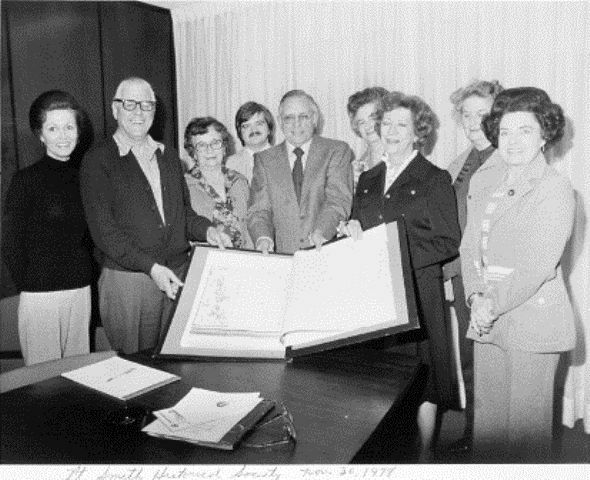 A small group of people concerned with the need for preservation of written and oral history of Fort Smith organized the Fort Smith Historical Society in 1977. The Historical Society is a nonprofit organization under Sec. 501 c 3 of the Internal Revenue Code. Gifts and legacies are tax deductible. The express purpose of this organization is to locate, identify, collect and preserve historical data; record oral history; and to publish source materials and historical articles of the Fort Smith area, so that the lives of our families, our friends and our neighbors may be made richer by knowing our historic past. The Society is staffed by volunteers and funded entirely by memberships and contributions. The Society's award winning publication, The Journal, is completely indexed and published in April and September.